Can you remember the last time you changed the oil in your vehicle? To maintain your vehicle’s performance and prevent costly repairs down the road, you need to change the oil and filter every 3,000 miles (or as recommended by the vehicle manufacturer). This basic maintenance won’t take long, but it will help keep your car in tip-top shape. Oil flows through your vehicle’s engine and ensures that all of the components are able to run smoothly. Working alongside the oil, the filter removes contaminants to keep your engine clean and undamaged. When you request an oil change at Seeburg Service Center, one of our experienced auto mechanics will select the correct weight and grade of oil for your vehicle. While we’re replacing the oil, we will also change out your filter to ensure that your vehicle’s system is fresh, uncontaminated, and ready to go. Oil acts as a lubricant within your car, allowing the engine’s components to move against each other without damaging heat or friction. However, as your vehicle’s oil ages, external contaminants like metal particles and dust can sneak into the oil and pollute it. Contaminated oil is not as effective as pure oil, and it can also be quite dangerous. It can damage your engine, lower your gas mileage, or even cause your engine to fail. An oil change is a preventative maintenance step, designed to keep your car running cleanly and smoothly. Over time, dirt and other contaminants will accumulate in your vehicle’s oil filter. This trapped dirt obstructs the passage of oil, reducing the filter’s efficiency and potentially clogging it. Filters are very inexpensive, so we recommend that you change your filter each time that you change your oil. Our expert mechanics will choose the right filter for your vehicle, ensuring a perfect fit with no leaks or damage. Like an oil change, this is a very simple maintenance job that will prevent major problems further on down the road. The basic oil and filter service at Seeburg Service Center includes five quarts of oil with the proper viscosity as well as a new oil filter. We will also top off all fluids. Our enhanced oil change service includes additives from BG Products, an industry leader that produces high-quality fluids to maintain optimum engine performance. We will ensure that your vehicle is fitted with a high-quality filter and the appropriate oil. 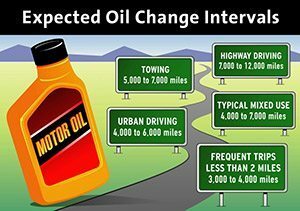 If you live in southwest Missouri or northern Arkansas, call Seeburg Service Center to schedule your next oil change. We are locally-owned and operated with locations in Springfield (MO), Fayetteville (AR), Springdale (AR), and Rogers (AR). 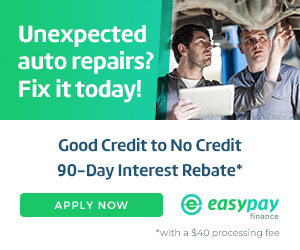 Since 1972, our auto repair experts have been providing top-notch auto maintenance services with a goal of exceeding our customers’ expectations. We would love to help you keep your vehicle’s engine healthy for years to come. Please give us a call or schedule an appointment online to get started.